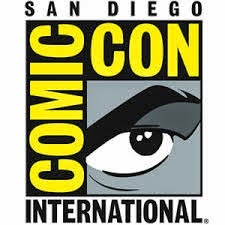 Your one stop site for Blu-ray, DVD, Comic, and Game reviews! When private eye Doc Sportello’s ex-old lady suddenly out of nowhere shows up with a story about her current billionaire land developer boyfriend whom she just happens to be in love with, and a plot by his wife and her boyfriend to kidnap that billionaire and throw him in a loony bin…well, easy for her to say. It’s the tail end of the psychedelic `60s and paranoia is running the day and Doc knows that “love” is another of those words going around at the moment, like “trip” or “groovy,” that’s being way too overused—except this one usually leads to trouble. With a cast of characters that includes surfers, hustlers, dopers and rockers, a murderous loan shark, LAPD Detectives, a tenor sax player working undercover, and a mysterious entity known as The Golden Fang, which may only be a tax dodge set up by some dentists...part surf noir, part psychedelic romp—all Thomas Pynchon. Blu-ray and Digital HD include bonus content featuring the star-studded cast! Burbank, CA, March 5, 2015 – Chill out and get groovy when “Inherent Vice” arrives onto Blu-ray Combo Pack, DVD and Digital HD on April 28 from Warner Bros. Home Entertainment. 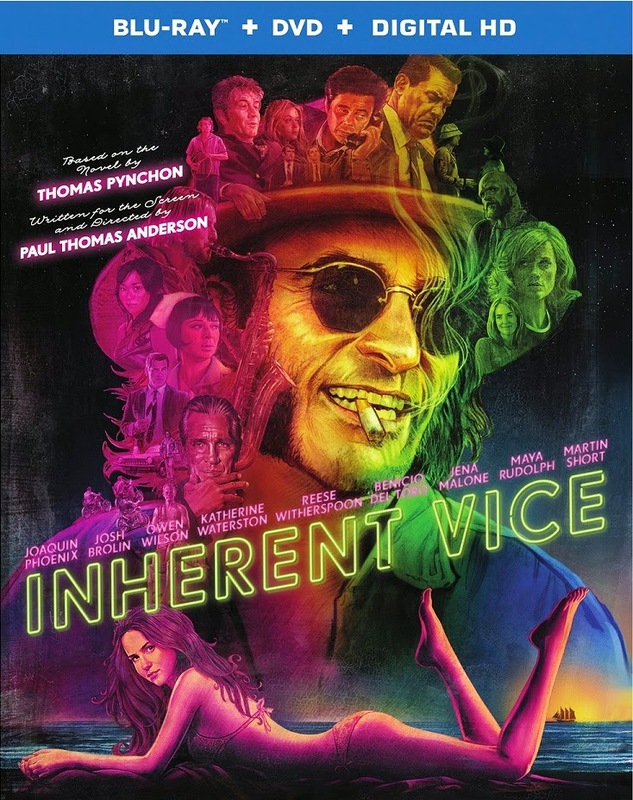 With an ensemble cast of characters that includes surfers, hustlers, dopers, rockers, and more, “Inherent Vice” is the seventh feature from Oscar® nominee Paul Thomas Anderson and the first ever film adaption of a Thomas Pynchon novel. “Inherent Vice” stars Oscar® nominees Joaquin Phoenix (“The Master,” “Walk the Line”), Josh Brolin (“True Grit,” “No Country For Old Men”), Owen Wilson (“The Royal Tenenbaums,” “Midnight in Paris”), Katherine Waterston (“Michael Clayton,” TV’s “Boardwalk Empire”), Oscar® winners Reese Witherspoon (“Walk the Line”) and Benicio Del Toro (“Traffic”), Martin Short (“Frankenweenie”), Jena Malone (“The Hunger Games” series) and musician Joanna Newsom. Paul Thomas Anderson (“There Will Be Blood,” “The Master”) directed “Inherent Vice” from a screenplay he wrote based on the novel by Thomas Pynchon. Anderson also produced the film, together with Oscar®-nominated producers JoAnne Sellar and Daniel Lupi (“There Will Be Blood”). Scott Rudin and Adam Somner served as executive producers and Ali Bush as co-producer. “Inherent Vice” will be available on Blu-ray Combo Pack for $35.99 and includes the film in high definition on Blu-ray disc, a DVD, and a digital version of the movie in Digital HD with UltraViolet. 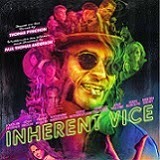 Fans can also own “Inherent Vice” via purchase from digital retailers. © 2009-2015 Sean Ferguson. Awesome Inc. theme. Powered by Blogger.